Want to know a little known fact about me?? 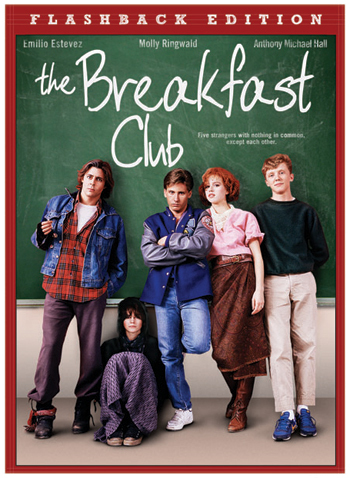 Ok here it goes… I love 80’s love movies. Ok!! I said it… call me a wuss, a poor sap or whatever else you want but I am guessing if you’re any kind of romantic you love those movies too. There are many reasons to love the 80’s but the 80’s love movie is in a class all its own. Here are my top five favorite 80’s love movies! I want my two dollars!! Not sure what I am quoting?? 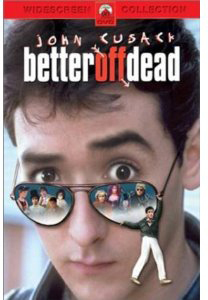 Then you have not seen Better Off Dead. I pity your soul if you have not seen this movie so you should go to your nearest neflix queue and add it in. 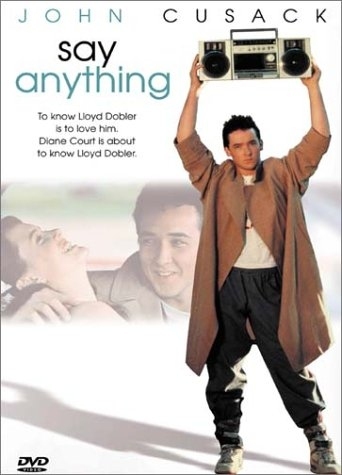 John Cusack is a staple actor in the 80’s and delivers a great performance in this movie. Molly Ringwald. I can not mention the 80’s love movie and not mention Molly. Who does not like woman a who can put lipstick on with her cleavage?? The Breakfast Club, Pretty in Pink and Sixteen Candles are all movies she has starred in. 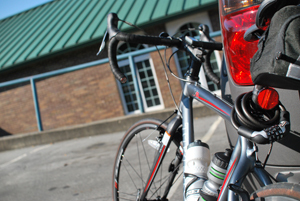 I feel the need…the need for speed! I do not have to go into much detail why this movie makes the list. Not to mention this was my first “love scene” I have seen in a movie, so this movie has a special place in my heart. The vain attempts of my parents trying to shelter my innocent eyes did not work. Want to know another little known fact about me?? 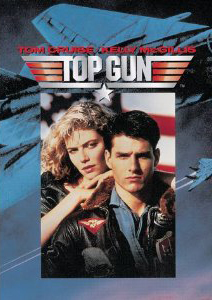 When I first watched this movie I decided I wanted to look the part of a fighter pilot (or maybe just look as cool as Maverick). So, I got my haircut like Maverick and my very own bomber jacket! The classic tale of the geek wanting to be with the popular girl. Another classic tale of the under achiever going after the popular girl. There you have it… my top five favorite 80’s love movies. I know you (let’s be honest, just the ladies) must be asking yourself why Dirty Dancing did not make this list? Besides the obvious, my sister would watch this movie when we were little at least ten times a day. I was subjected to cruel and unusual punishment at a young age and I have not quite recovered. Not to mention, all the man points I would be losing if a movie about dancing made this list! Dirty Dancing could not have lowered your man-point count, since the first five movies brought it down to ZERO. I thought I would have seen all the movies that I’d find on your top five, but I haven’t. So, I may have to visit Red Box soon and revisit the 80’s!